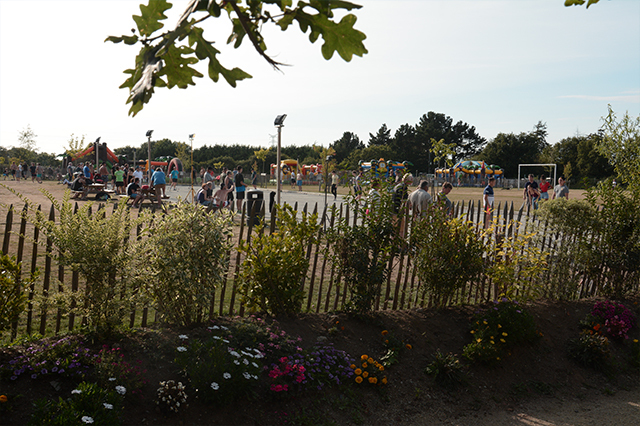 Play areas for your children, sports fields for all, welcome to the largest Camping Club in the South Brittany region. Whether you have come for a family holiday, or just for a getaway with friends, Capi, the club’s mascot, has thought of everything for a magical and unforgettable holiday. 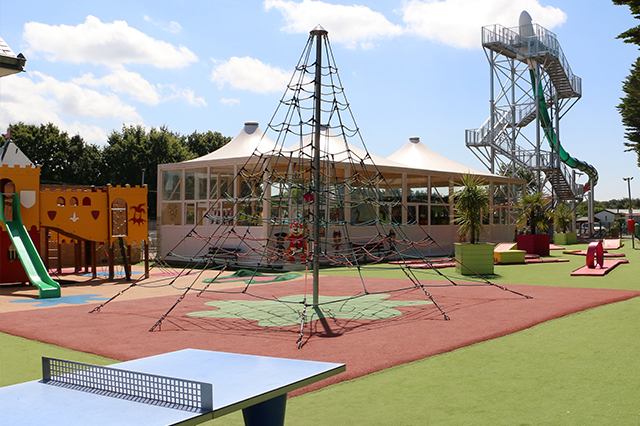 Take your children to the Domaine de Léveno and watch them discover the amazing playgrounds located in the four corners of the campsite. Watch them visit the colorful castle near the kids’ club, climb the gigantic cobweb, or stroll through the small house dominated by the little white cat, which monitors the other animals and ensures that the pig and the sheep do not do not do nonsense! A last swing and hop! Direction the unusual area to a new playground in the heart of tree houses and teepees. Change of universe, this time to drive the truck, the helicopter or the train, in the middle of spring games and the incredible tubular slide. Adventurers and villains, go for a ride on the "young aerobatics" playground and try a balance course on a wooden structure a few centimeters from the ground. Wooden bridge and rope, hanging creepers, cross the various obstacles without stopping. A very good introduction to the world of tree climbing, to discover in your campsite on Guérande peninsula. Discover an impressive indoor playroom to the delight of children and parents. Billiards, table football, shuffleboard and several virtual reality games are available in a dedicated room close to the bar area of the campsite. Climb aboard a sports car, ride a quad bike or take a motorcycle ride on the world’s biggest trails. Defeat your enemies with our virtual shooter team or turn into Tony Parker for a moment, in the playroom Le Léveno area near La Baule, you have the choice! Inside the campsite’s mini-club, it’s a new world waiting for your child. Capi had the idea of genius to install a real indoor playground. Similar to the games found in a famous fast food chain, this colorful structure offers several courses on different levels, like a labyrinth strewn with foam obstacles and net wall. Capi to the nose, your children love. Capi knows that kids love to have fun and workout in beautiful inflatables. 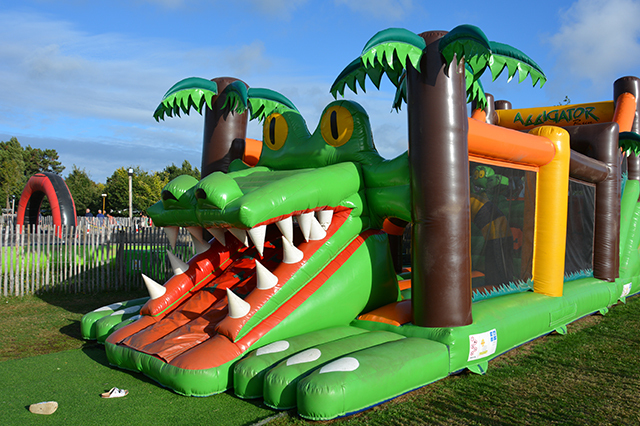 For an unforgettable family holiday, 4 imposing inflatable castles are freely accessible throughout the day. Safety instructions are posted at the entrance of the playground, Capi reminds you that it is your responsibility to respect them. Children are the parents’ responsibility when using the structures. 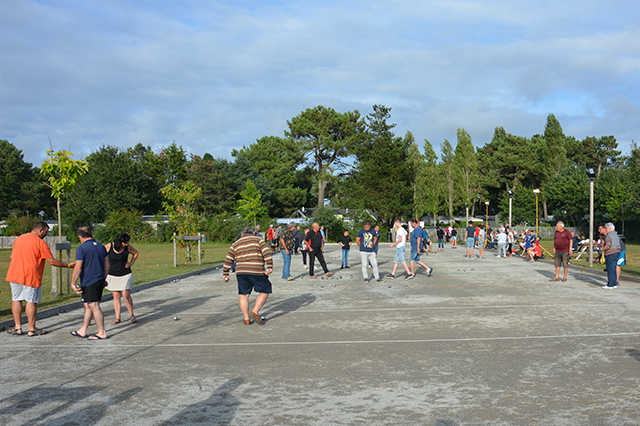 Enjoy the large pétanque pitches at Le Domaine Leveno. More than 15 delimited sites are at the disposal of the campers on the only zone of the meadow. Two extra spaces allow you to play on the campsite. Whether for organized tournaments or simply for a party with friends, find yourself around the bowling alley and share a convivial moment in summer. A financial contribution is requested on certain tournaments organized during school holidays. 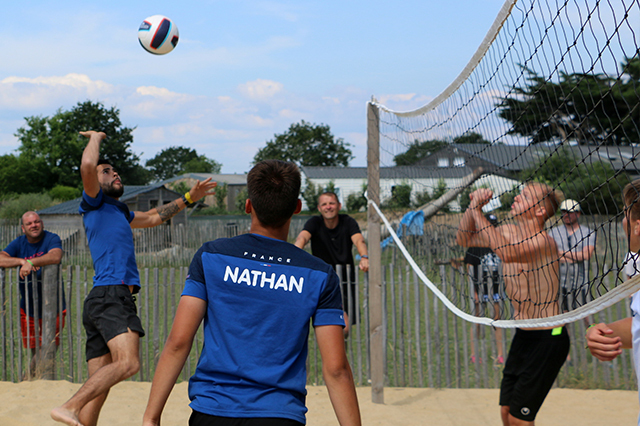 True reference during the summer holidays, beach volleyball is always a success. In your space of conviviality, find a ground in sand or young and old savor the pleasure of the volleyball in all simplicity. During improvised parties with friends or supervised by the animation team, easily meet other holidaymakers and share unforgettable moments. With the big pitch all in grass in the heart of the meadow, let yourself go to long football matches in a friendly holiday atmosphere. This land is also used for camping activities such as family Olympics or challenges for holidaymakers. Rugby flag, Baseball and activities of all kinds are also practicable on this large sports field. 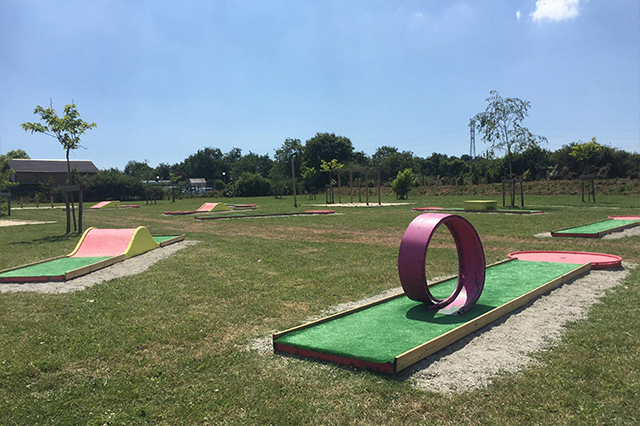 A mini-golf course decorates the meadow for the greatest pleasure of the whole family. Challenge your tribe on the 9 playful and colorful modules that make up the course. 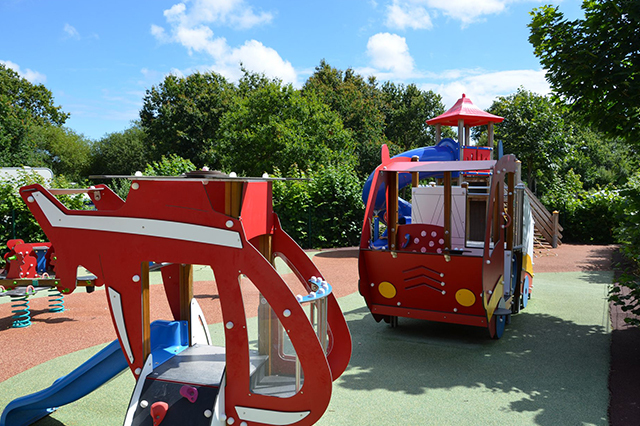 Play equipment is available for rent from your reception desk or directly at the meadow refreshment bar in high season. 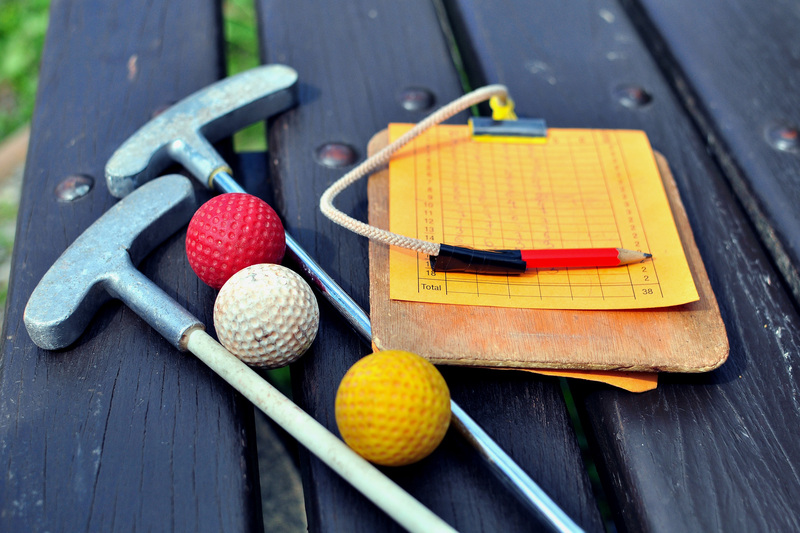 The children of the mini-club will sometimes also occupy the mini-golf course for crazy challenges between friends! Incredible but true ! 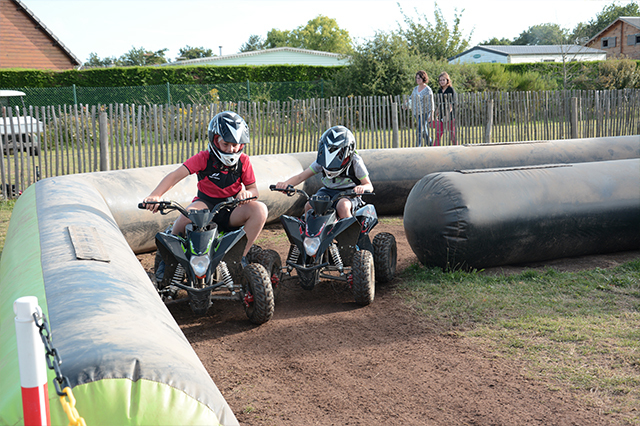 In July-August, during the summer holidays, a quad track is installed and children from 4 to 12 years old have the opportunity to discover the joys of motor sports. Helmets are provided during the activity. Motor vehicles are controlled remotely by a remote control owned by the supervising animator. A financial contribution is requested for this exceptional activity. To the delight of toddlers, Capi has installed in the pool complex a water playground for children. Discover a course in the water among the animals of the savannah who will not fail to water you and prevent you from accessing the slides if you are not vigilant! 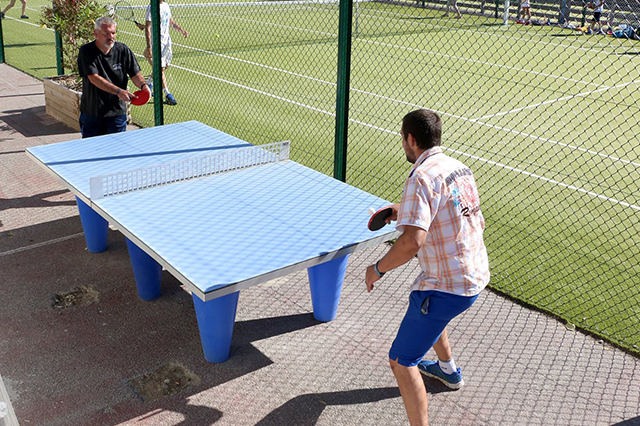 Several ping-pong tables are available to holidaymakers around the multi-sports ground of the campsite. Enjoy with family or friends special moments during your holidays. Tournaments are also organized by the camping club’s animation team, and free games are provided at the reception desk. Historic sports ground of the camp-site, the city stadium is ideal to be initiated to different disciplines like basketball, soccer "city", handball and many others. Change your usual game modes and discover the interest of playing in a small team with rules substantially modified compared to the sport of reference. 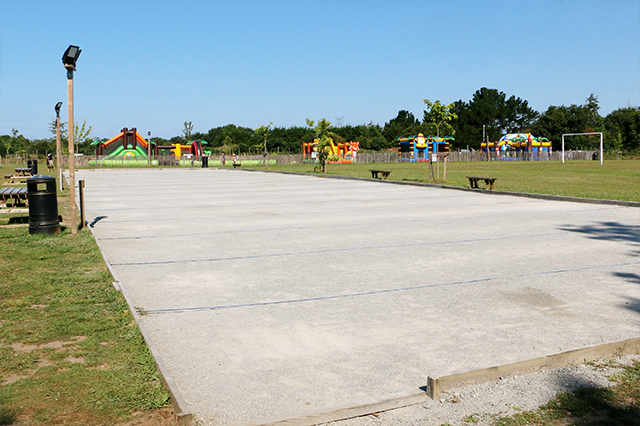 The multi-sports ground of the camp-site is in free access throughout the season, sports equipment is loaned free from the reception service. Events are regularly organized by your animation team. 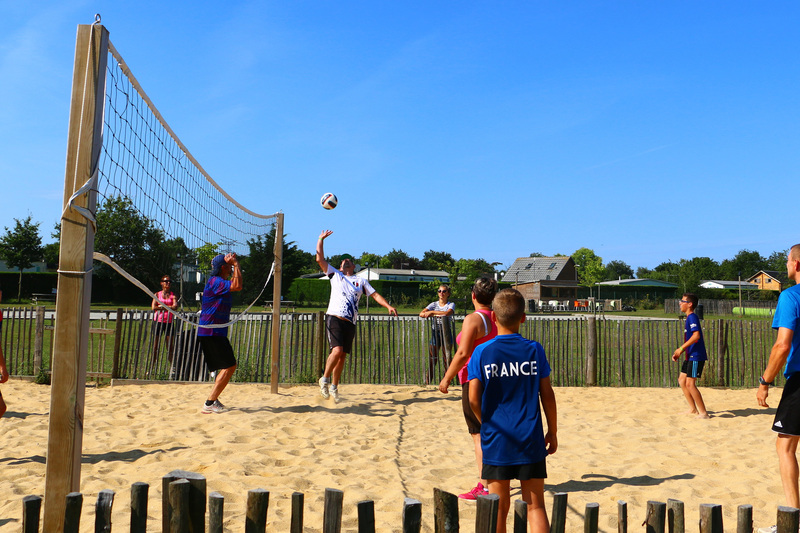 Want to keep fit during your holidays in Loire Atlantique. Take advantage of the artificial grass tennis court at Le Domaine de Léveno campsite. The land is offered free access outside July-August. During the holidays, the land is accessible only by reservation with your reception service.